Halloween is only a couple weeks away and we’re ready at my house! 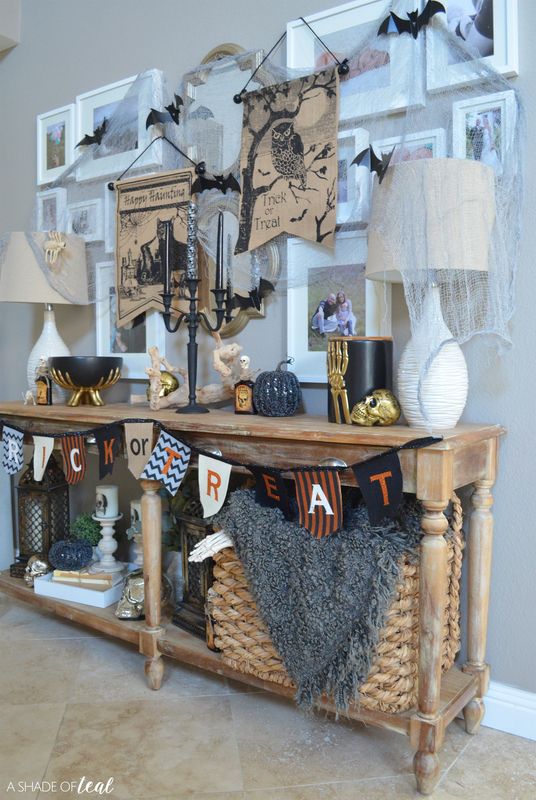 I LOVE decorating for Halloween since it’s one of my favorite holidays, and this year I wanted to create a Spooktactular Entrance by decorating my front entry foyer. This is the first thing you see when you open our door, so it’s a perfect entrance for trick or treater’s! 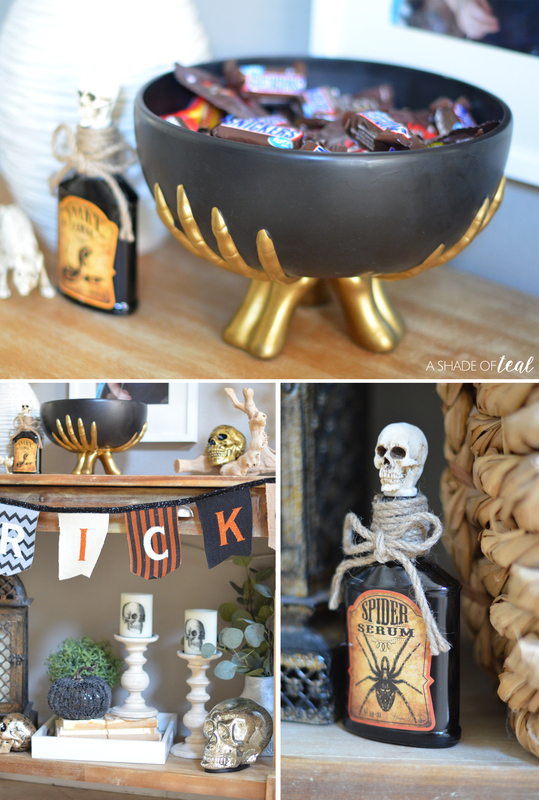 Want to learn how I spooked my space? Here’s how! Clean and tidy your space before you get started. I also removed some extra clutter before I started. 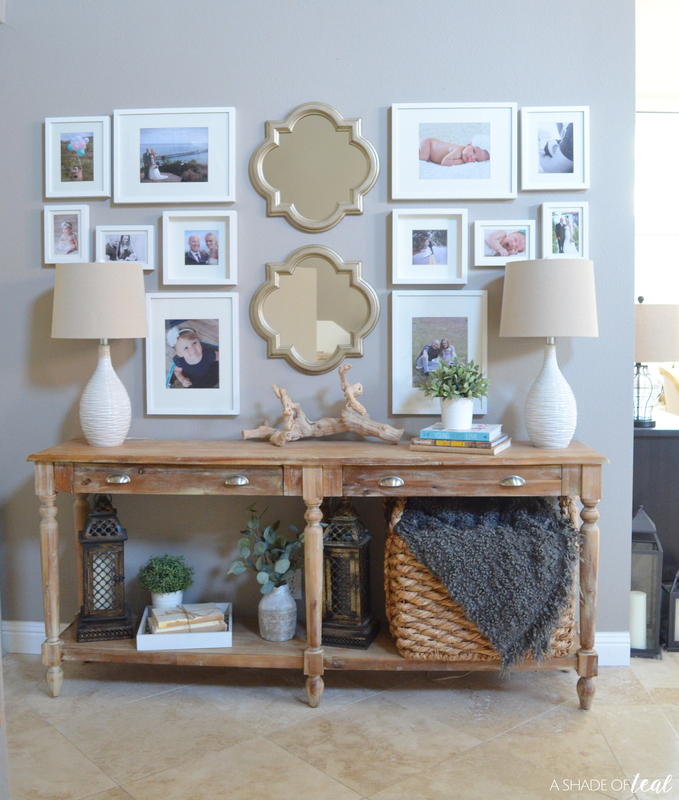 As you can see below my entry open’s up to my Everett foyer table. 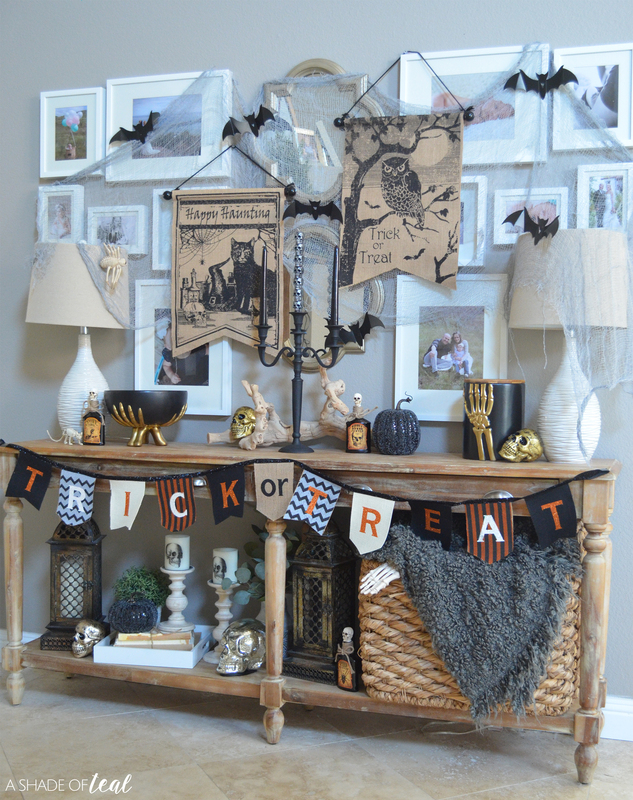 You’ll find everything shown today from Cost Plus World Market’s Halloween Décor collection. I’m pretty much a regular at my local Mission Viejo store and love checking out what they have. You can find your local store HERE. 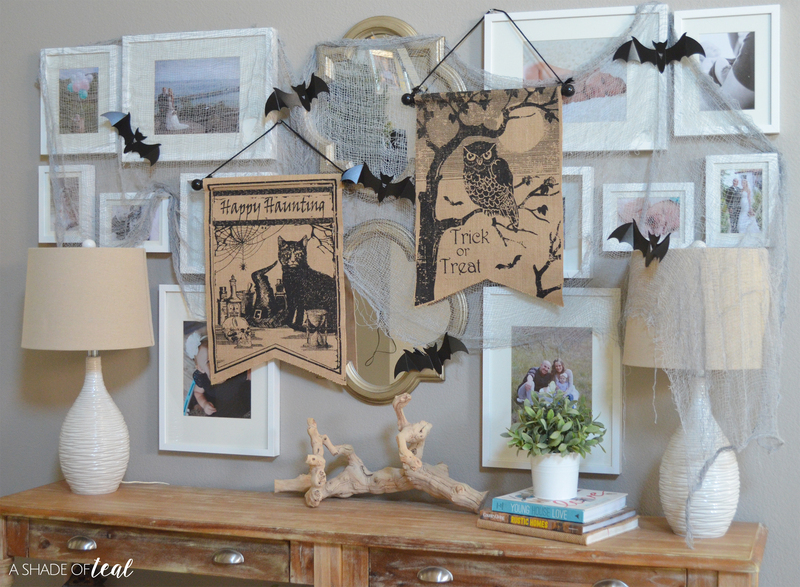 I started with my wall decor first by adding the Gauze fabric with bats and the Burlap banners. It helps to start from the top down. 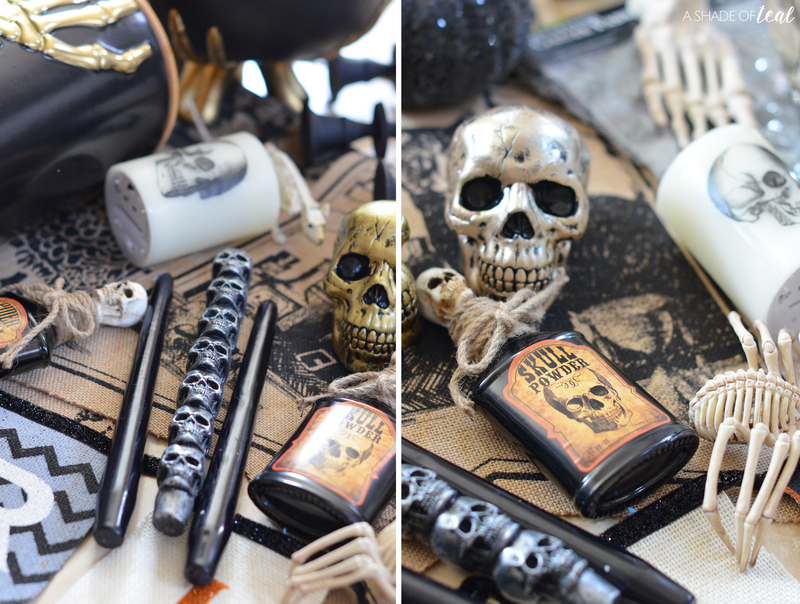 Finally, I added a couple more accessories, including skeleton candles, skeleton bones, potion jars, and of course a candy bowl from their Halloween Entertaining collection! 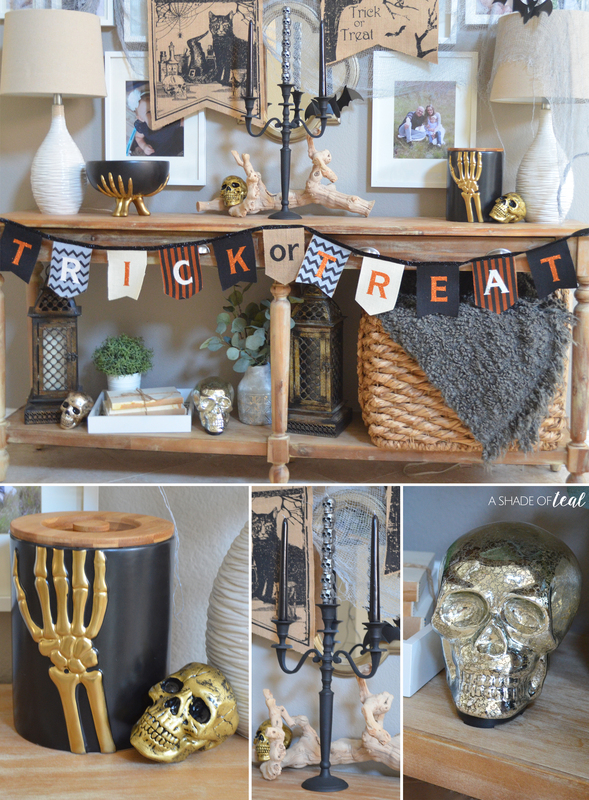 After everything was in place, I’m now ready to give my guests and future trick or treater’s a “Spooktactular Entrance!” I absolutely love all the black and gold Halloween decor from Cost Plus World Market’s Halloween collection this year. 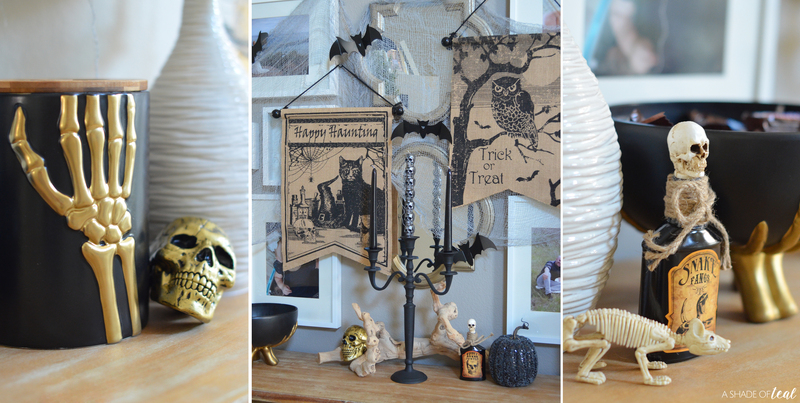 It’s the perfect balance of Halloween mixed with my neutral existing decor. Here’s some more after pics! 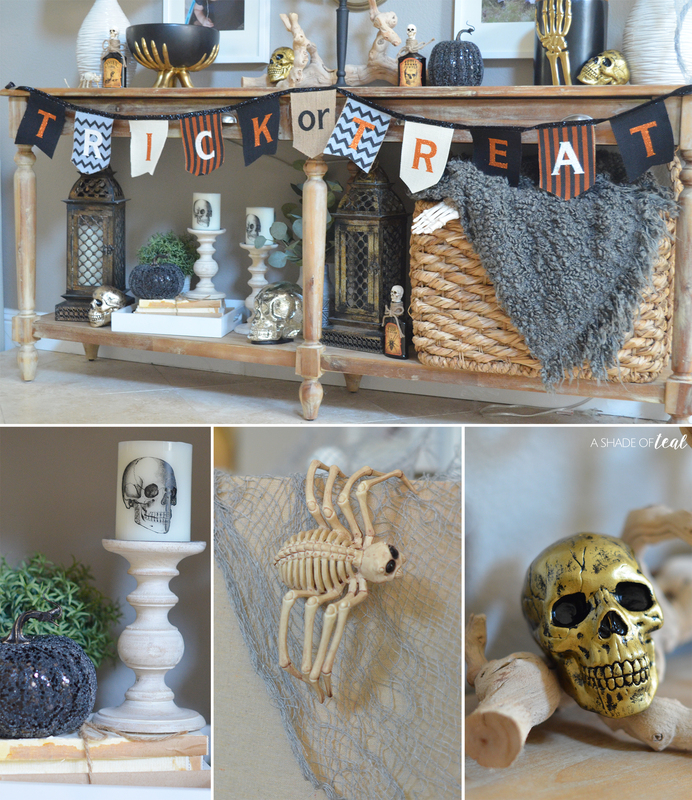 Want to Spook your Space? 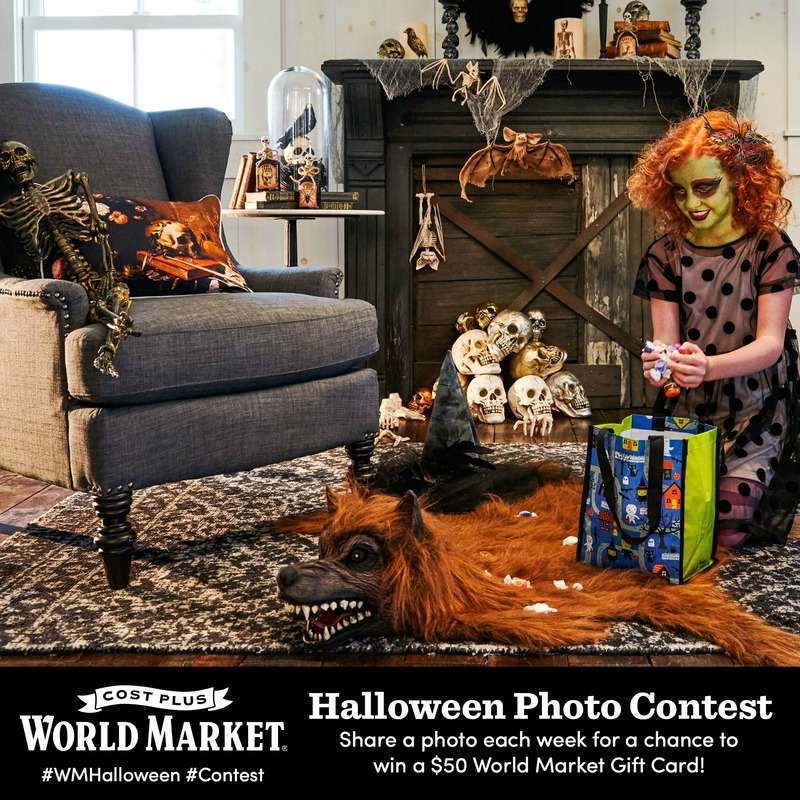 Go enter Cost Plus World Market’s Halloween Photo Contest for a chance to win a $50 World Market Gift Card. Cost Plus World Market is so excited about Halloween this month that they’re giving away (4) $50 World Market Gift Cards each week. Make sure to shop this post below. 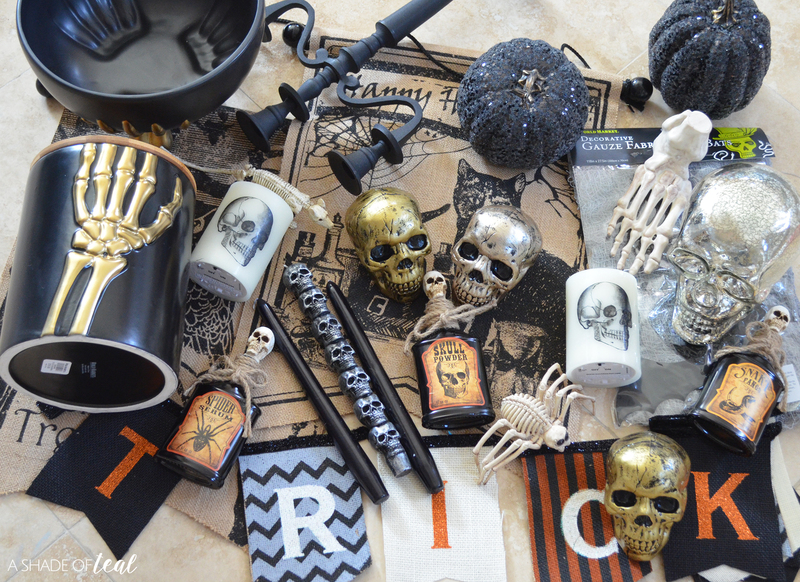 You’ll find all my Halloween decor used from Cost Plus World Market! 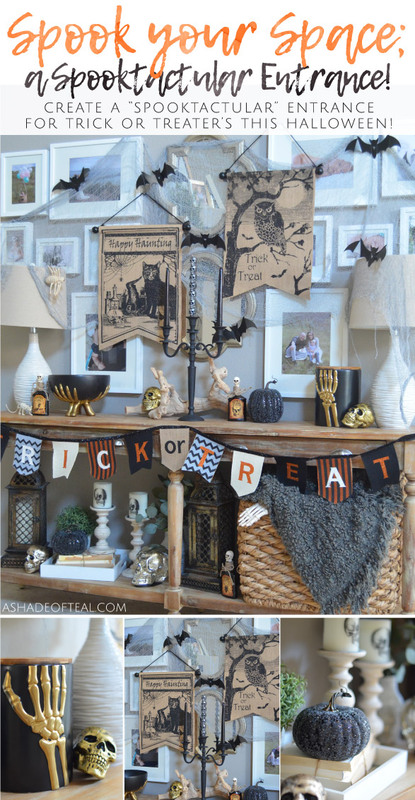 i love how you incorporated halloween decor into your home. i like that there’s a lot of neutral colors in there, and a couple touches of orange. That look is absolutely amazing! I don’t usually decorate much for the holidays except for Christmas, but you have me inspired to give it a try! Your decorations are so cool! 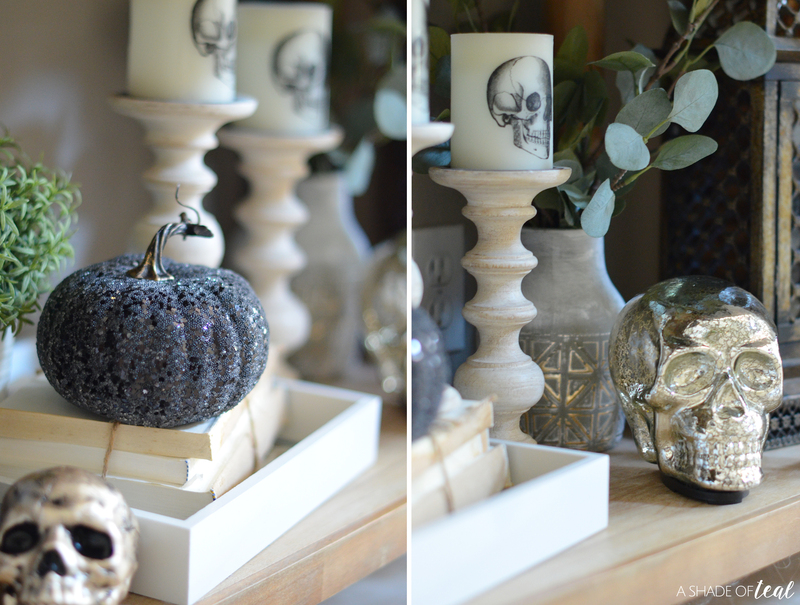 Makes me wish I had more fall and Halloween decor. Your space looks amazing!! i love what you got and how you put it all together!! 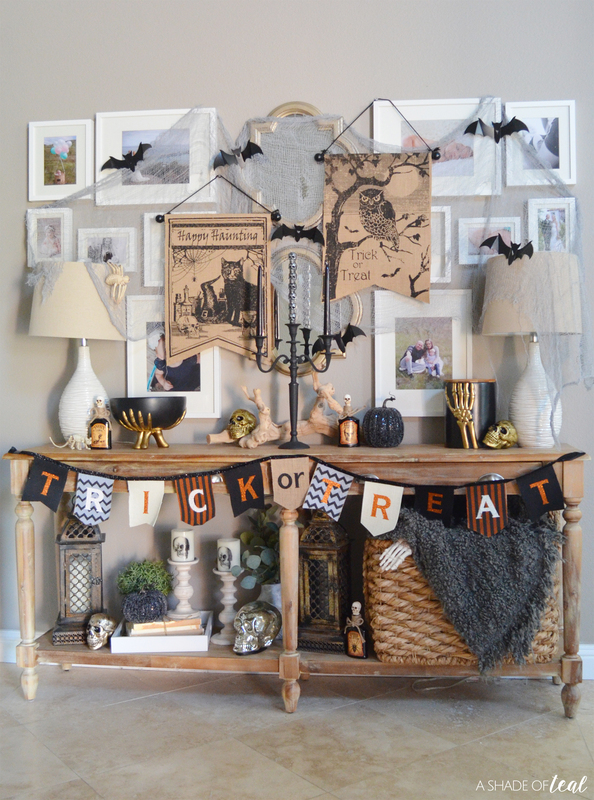 These are great ideas for Halloween decor. I love the skeleton spider which is something I have never seen before. All these skulls really do look amazing together. Thanks for sharing the information and ideas. Looks great! 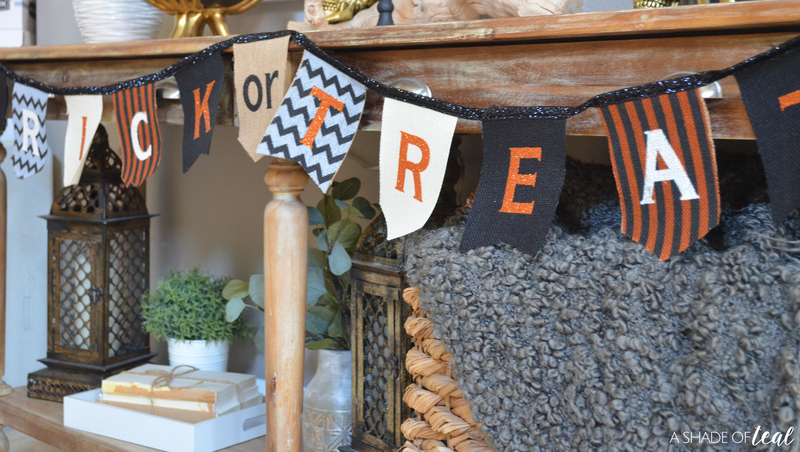 I’m really loving those black glitter pumpkins, and that adorable banner!